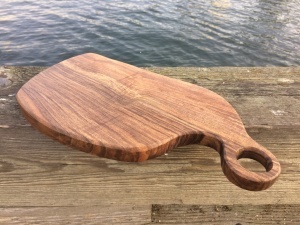 These Cutting Boards are finished with food safe butcher block oil. 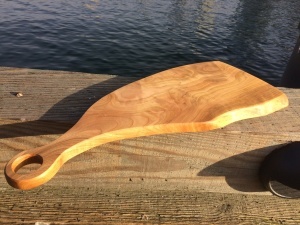 They are made from various hardwoods including Maple, Walnut, Cherry and Apple Wood. 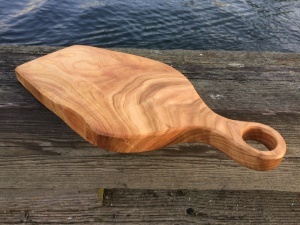 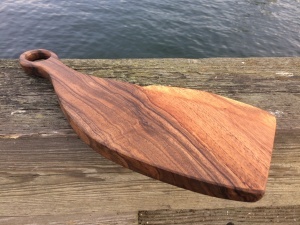 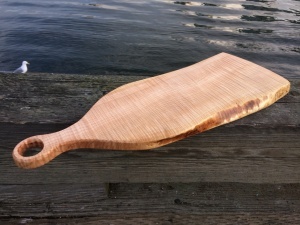 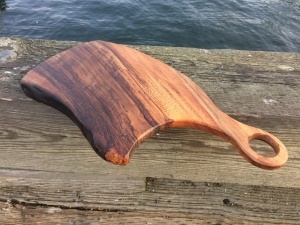 Prices range from $58-$68 for average sized boards to $78-$90 for larger ones….